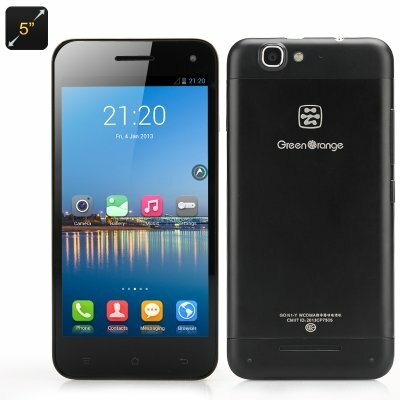 Successfully Added Green Orange GO N1 Android Phone - 5 Inch, Android 4.2 OS, MTK6589 Quad Core 1.2GHz CPU, 1GB RAM +16GB Memory (Black) to your Shopping Cart. The N1 from Green Orange sports a solid quad-core MTK6589 1.2Ghz CPU backed up by 1GB of RAM so it offers quality performance at competitive prices. Green Orange are known for their premium phones using Mediatek solutions and with the N1 they are looking to diversify and offer competitively priced products as the starting end of the Smartphone market. This phone has been the flagship model selling better than their other phone models over the past year and for a good reason. 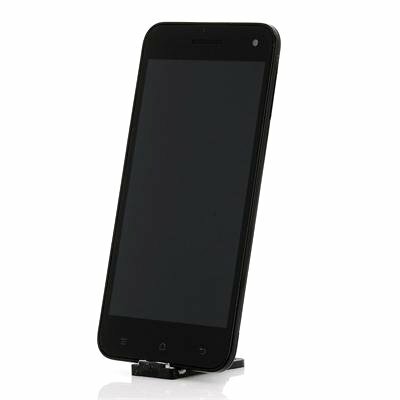 It offers users a 5 inch IPS display with 1280 x 720 resolutions that is very bright and the content looks crisp with vivid colors that aren’t overly saturated. On top of that it has 1GB of RAM and when combined with the quad-core MTK6589 chip set you get great performance for multitasking, playing games and watching videos with great color depth and quality. This Android smartphone doesn’t support Micro SD cards but it has a respectable 16GB of onboard memory. Its front facing 2 megapixel camera is good for taking selfies and a 13 megapixel rear camera can record images at 1920x1080 which is very impressive for a lower priced phone. With a 2500mAh battery and low energy chip set you get an impressive 12 or 13 hours of usage time from a full charge. In standby this could last for up to 395 hours or half a month which means you can play plenty of games or have an evening of entertainment without needing to recharge the phone.